The soliton: A wave less ordinary - Benjamin Skuse describes how a special type of wave called the soliton went from being almost universally ignored to being both widely studied and highly valued for its practical applications, after its existence was proved mathematically. 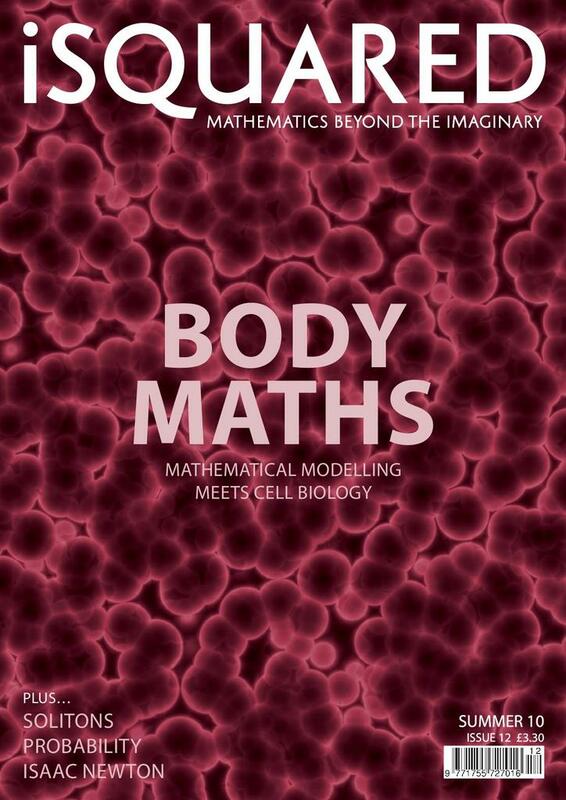 Models for life - Sarah Shepherd explains why discrete models for biological cells are becoming more and more popular, and shows how one such model has been applied to the simulation of cancer invasion and the phenomenon of cell sorting. Mathematical histories - Peter Rowlett looks at the development of probability theory, a field that owes its existence to mathematicians such as Cardano, Pascal, Huygens and Bernoulli. In addition, each issue of the iSquared magazine contains news items, puzzles, a book review and the work of a mathematical great. This issue tells the story of the work of Isaac Newton whose many contributions to science include calculus and his laws of mechanics.